There is an exciting new wave of medics seeking ways to focus on holistic, nutrition based medicine for themselves and their patients to tackle chronic disease. Meet Dr. Amina Davison, a GP who recently attended the Functional Medicine course in London with the objective to diversify her skills and ensure that her patients are educated and well equipped with the knowledge required to live healthily. I am an NHS GP, looking for a “better way” to heal my patients. I want to help my patients feel well, healthy and happy. Like many doctors who have found their way to functional medicine, my journey started with my own health. Years of burning the candle at both ends had left me feeling exhausted. I had also been feeling disillusioned with my career as a GP, even at the start, as I struggled to figure out why my patients weren’t getting better. I felt like I was managing their drugs rather than their health, and that just didn’t sit well with me. After a trip to my GP and a few visits to a counsellor, I started looking for another way. I have always been obsessed with food and my journey through nutrition took me to the likes of Colin Campbell (China Study), Joel Furhman (Eat to Live), Zoe Harcombe, Mark Hyman and countless others. Not forgetting the popular Instagrammers such as the Helmsley sisters, deliciously Ella, The Doctors kitchen and Madeleine Shaw. I started to experiment with different ways of eating and what I learned was that there is no “one size fits all” approach to health. It is a very individual path for everyone and encompasses multiple factors including nutrition, movement, spirituality, stress management, environment, emotional support, relaxation and in some cases nutritional supplements or medication. The Functional Medicine Course – Getting Stuck In! I discovered the Institution of Functional Medicine (IFM) around 5 years ago via their website. They have been running for around 20 years in the USA and provide health education with a good solid scientific evidence base that is constantly being reviewed by their large team of clinicians. The principle behind Functional Medicine is a patient centred approach to addressing the root cause of symptoms. 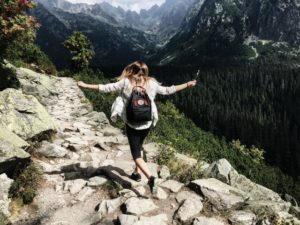 This involves linking the patient’s unique story with interactions among genetic, environmental and lifestyle factors that can influence health and chronic disease. Through the IFM website, I am able to access quality, professional material for both clinician and patient. They provide the Gold Standard in formal training in Functional Medicine which involves attending AFMCP, completing six advanced modules, a peer-reviewed case study and an MCQ exam. There are also plenty of additional opportunities for CPD provided by the IFM and functional forum. The AFMCP is a full-on, 5 day course which provides a good introduction to the the principles of FM. It is open to practitioners from a variety of backgrounds including doctors, nutritional therapists, chiropractors osteopaths nurses and pharmacists. Once completed, the graduate is able to start practicing Functional medicine, within the limits of their core disciplines. Although this is largely done in private practice, there are many doctors applying their new found skills to their NHS work in all specialities. The UK course is still in its infancy however it’s popularity is increasing rapidly; this year’s intake was double that of the previous event. Places for 2018 are already filling up fast and the number of delegates is predicted to be its highest yet. Registration for the UK event is via the AFMCP website and costs £2860 if booked early, or £3146. Due to high demand, the course is now running on a yearly basis, the next event is on 4th October 2018 in London. Several months prior to the course the networking had already begun in the form of a Facebook page just for the delegates. Through this I started a meetup group with four other doctors in my area, including a doctor who is already practicing Functional Medicine. The first thing that hit me on the first day of AFMCP was the atmosphere. 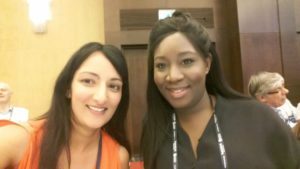 I had never been on a course or conference where there was so much positivity and excitement. Each day was jam packed with lectures, during which, the energising speakers who are all experts in their field managed to make even the most complicated biochemistry, (think hormone synthesis, complex pathways within the inflammatory cascade and mitochondrial function), seem effortlessly clear. Linked in with the lectures were case studies, group work, meditation and even dancing! All the activities were painstakingly organised by the team to ensure all practitioners, whatever their background, got a clear understanding of functional medicine and how to apply it, all backed up with a plethora of clinical studies. 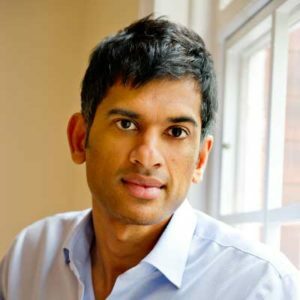 Included on the panel of speakers was Dr Rangan Chatterjee (pictured), an NHS GP who has brought lifestyle medicine to the surface in the UK via his BBC television show, Doctor in the House. 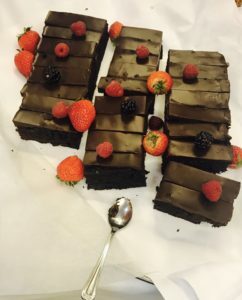 Now I can’t write about a functional medicine gathering without talking about the star of the show… the food! An exclusive, exquisite menu of healthy, fresh, functional foods was put together by Dr Rupy Ajula from The Doctors Kitchen, an AFMCP graduate and Medic Footprints follower. Each day, the menu followed the theme of the lectures closely and included foods that tied in with topics, while also keeping with a different daily ethnic theme, eg Indian, South American and Italian to name a few! 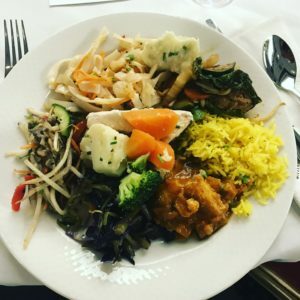 We were treated to an array of salads, meat fish and vegetarian dishes, as well as delectable desserts, all of which were refined sugar, gluten and dairy free. As well as educating the mind and nourishing the body, we were given regular opportunities to network with other industry professionals, previous graduates who were present as facilitators and a range of sponsors from the industry who specialised in supplements, laboratory testing, specialist foods and information technology. Delegates were also granted 6 months free access to the IFM’s “Functional Toolkit”. This is a vast library of useful information, leaflets, food plans and much more to enable a smooth and easy transition into using the new skills straight away. I came away from my week at AFMCP feeling refreshed with a new energy and enthusiasm for my profession. I had formed new relationships with a community of people who shared my desire to improve the type of care I can offer to my patients by not only managing their chronic disease, but to restore health and vitality by addressing the root cause. This is the future of medicine and I am proud to be part of the revolution.